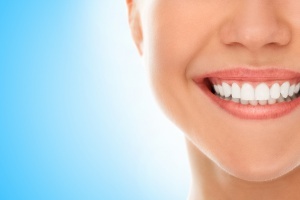 There are a whole host of dental treatments available depending on the problem at hand. Endodontics is the dental specialty concerned with the study and treatment of the dental pulp. This is an area of dental medicine that specializes in cleaning the tooth internally. When a dental cavity reaches the pulp of the tooth there are usually two options: extraction or devitalization. Devitalization takes place, as mentioned above, when the cavity reaches the pulp of the tooth. But what really takes place during this process? During this process your dentist will want to remove all of the infected tissue and replace it with a special filling that will become the support for the remaining tooth structure. So, in summary, the tooth is opened and the pulp removed. The root canals are then cleaned and widened making room for a special filling, and later on for a material that will permanently seal the roots. Finally the tooth is resealed making it look as natural as possible. All this process allows the tooth canal to be permanently sealed avoiding any further infections. It is done with local anesthesia and is in general quite a quick procedure. In case more than one consultation is needed then provisional fillings are left in place until the final ones can be set in. What Causes the Infection of the Pulp? This new devitalization treatment helps decrease the number of tooth extraction cases. It is an asset to patients that would otherwise have to invest in prostheses for aesthetic and functional issues. Contact us and book an appointment.